Now I can officially say that I have heard it all. A Santos FC fan has launched a lawsuit against Neymar for leaving Santos and joining Barcelona. Media outlets in Brazil are reporting that Brazilian lawyer and lifelong Santos fan, Luciano Pereira Caparroz has entered a motion to sue Neymar for signing a pre-contract with Barcelona before the match against Santos at the 2011 Club World Cup. This is the kind of thing I thought it only happened in the United States but turns out I was wrong. The Brazilian lawyer claims he spent near £2,000 to travel to Japan and attend the match. Once he arrived in Japan he found out that Neymar had signed a pre-agreement with Barcelona and he was furious. Santos would go on to lose that match 4-0 which I am sure added to his anger and displeasure. Being a lawyer he will at least save on his lawyer fees, but I would hope the judge would look at this and fine him for misuse of the judicial’ s system time. 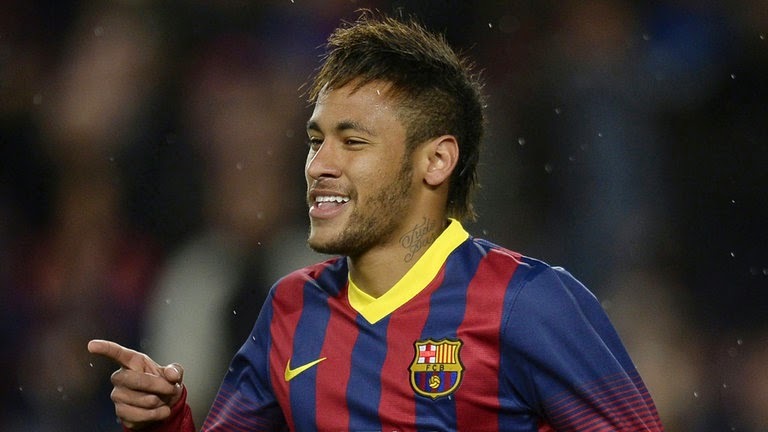 He filed the lawsuit against Neymar and N&N, the company owned by Neymar’s father who represents the player. The lawsuit was filed in Sao Paulo for £6,600. He is asking for three times what he claimed he spent, perhaps the extra is for his pain and suffering of going so far and seeing his team get demolished by Barcelona. "I'm a Santista, I go to all the games and I decided to travel to Japan to watch the Club World Cup. I was left frustrated with the result and on top of that, later on we learned that Neymar was already sold. I feel cheated," he was quoted by The Daily Telegraph on Wednesday. Neymar and N&N have not commented the lawsuit or any of the allegations put forward by Caparroz.